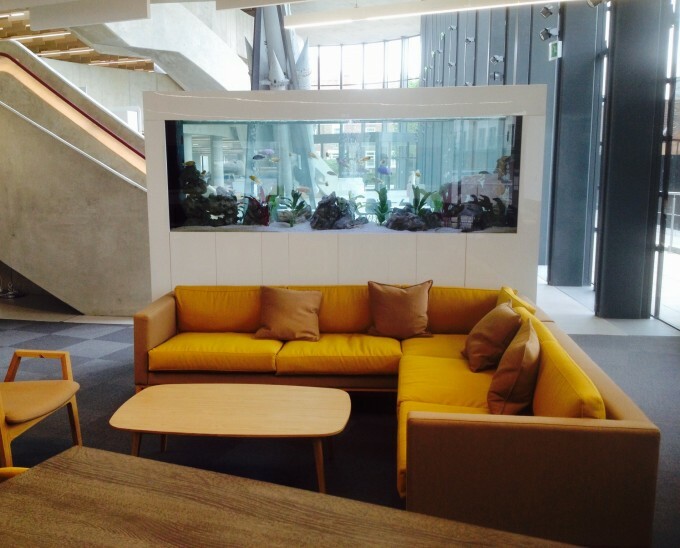 This office aquarium was installed in the brand new offices of a long term client of ours in York. The aquarium is fitted with a very large filter system to ensure that it stays clean for long periods of time in spite of all the daylight that it is subjected to. The aquarium was delivered in one piece as access to the building was extremely easy.